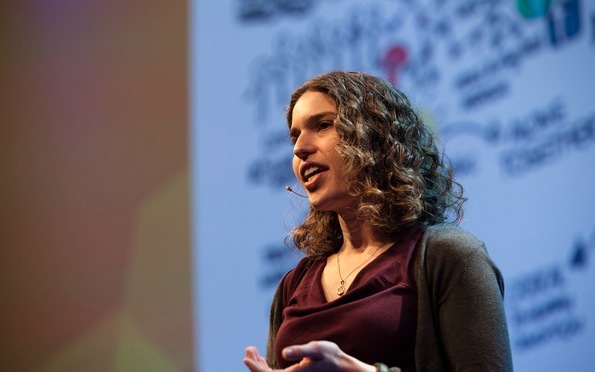 The popular URL shortener bitly will get a new version of its consumer-focused platform within a month, its chief scientist Hilary Mason announced on stage during TNW Conference in Amsterdam today. While details of this new version remain to be confirmed, Mason explained that the startup is keen to tackle the current issues around search. Search engines, she said, aren’t meeting our expectations, which have changed over time – and bitly now wants to address that point. However, bitly’s consumer product is only of the three activities that keep its team busy. The second one – and also the most lucrative – is its Enterprise version, aimed at celebrities and companies interested in customizing their short URLs. As for bitly’s third activity, data analysis, it is arguably the most interesting thing the startup is working on, thanks to its team of data scientists. While Mason acknowledges that data science has become some sort of a buzzword, she pointed out that this new combination of hard and social science skills make bitly’s force. As a matter of fact, data science is what makes it possible for bitly to analyze what we share, and to understand the wealth of information coming from the millions of links we share on a daily basis. Contrary to Andrew Keen, who delivered a pessimistic keynote on the loss of privacy in the social Internet era, Mason believes that the rise of online sharing also represents a great opportunity for people like her teammates to analyze this data and release it back to the people. More generally, the fact that we are increasingly sharing content online doesn’t necessarily mean that we have lost our privacy. According to Mason, “what we share is very different from what we read.” For instance, we often tend to share stories that make us look good and/or thoughtful, reflecting our aspirational self. Sharing is predictable, and follows specific patterns over time. There are two main types of links: evergreen ones, which have a long sharing curve, and breaking news, which have an average life span of 2.8 hours on Twitter and 3.1 hours on Facebook. Links may have a longer life span on other social networks, such as LinkedIn, which means we should also take this into account when we decide to share a piece of information. We use each of our devices at a different time. When it comes to sharing on social networks, computers are peaking in the morning, smartphones in the afternoon, iPads in the evening, and game consoles on Thursdays. Besides time and devices, location is also a key variable. For instance, users don’t care about local news from other places, unless they become bigger. This is what happened with the Trayvon Martin story, which started as a Florida news story before spreading to nearby states, before reaching out across North America and beyond. Our content preferences also depend on where we are based – bitly’s research on news popularity by US state expectedly confirmed Fox News’ popularity in Texas, but also surfaced less obvious data points, such as the fact that the NPR’s content is doing well in Oregon, while Al Jazeera’s popularity corresponds to the Muslim population’s distribution in the US. In other words, bitly’s URL shortening service is also a great way to collect interesting data which can help us learn what we are and what we share.